You know this thing about Mike the Knight Games? Start playing Mike the Knight Games on our website right now, because it is the most fun and interactive way that you can be a knight yourself, which we are sure that is something that you have always dreamed of. Fight vikings, ride horses, shoot arrows, or build castles and many, many more, only with the Mike the Knight Games category, only on www.cute-games.com! Have fun! In Mike the Knight Games you can find 8 games that we've published for these kids and childrens that are interested to play Mike the Knight Games, this game gategory have been created on 25.10.2016. These games with Mike the Knight Games have been voted 1 times and the avarage of vote is 5.00 stars. We advice you to play the last flash game from Mike the Knight Games, Apples and Arrows that have been published on 27.10.2016 08:02. 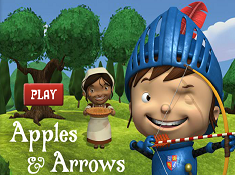 Apples and Arrows its a part of Mike the Knight Games category and until now its played 808 times. Try it now on Cute-Games.com! If your like the Apples and Arrows game you can write a comment in the game page. Recommend this game to your friends if you like it! Mike The Knight Pairs its a part of Mike the Knight Games category and until now its played 844 times. Try it now on Cute-Games.com! If your like the Mike The Knight Pairs game you can write a comment in the game page. Recommend this game to your friends if you like it! 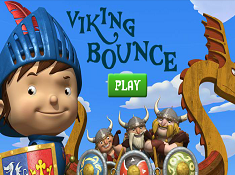 Viking Bounce its a part of Mike the Knight Games category and until now its played 946 times. Try it now on Cute-Games.com! If your like the Viking Bounce game you can write a comment in the game page. Recommend this game to your friends if you like it! 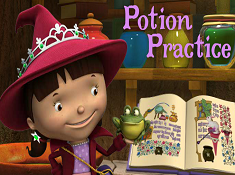 Potion Practice its a part of Mike the Knight Games category and until now its played 1404 times. Try it now on Cute-Games.com! If your like the Potion Practice game you can write a comment in the game page. Recommend this game to your friends if you like it! 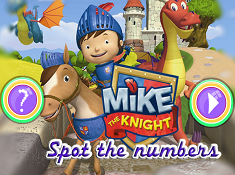 Mike The Knight Spot the Numbers its a part of Mike the Knight Games category and until now its played 638 times. Try it now on Cute-Games.com! If your like the Mike The Knight Spot the Numbers game you can write a comment in the game page. Recommend this game to your friends if you like it! Galahads Gallop its a part of Mike the Knight Games category and until now its played 699 times. Try it now on Cute-Games.com! 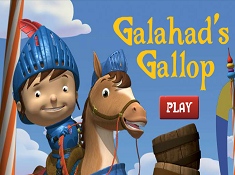 If your like the Galahads Gallop game you can write a comment in the game page. Recommend this game to your friends if you like it! 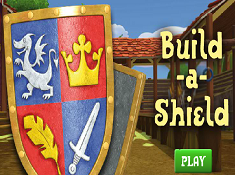 Build a Shield its a part of Mike the Knight Games category and until now its played 733 times. Try it now on Cute-Games.com! If your like the Build a Shield game you can write a comment in the game page. Recommend this game to your friends if you like it! Mike The Knight Memory its a part of Mike the Knight Games category and until now its played 699 times. Try it now on Cute-Games.com! If your like the Mike The Knight Memory game you can write a comment in the game page. Recommend this game to your friends if you like it! Find More About Mike the Knight Games! Mike the Knight is definitely one of the best shows currently airing on Nick Jr, so it was only natural that we were going to create the Mike the Knight Games category as well, because we want our website to be updated with all the shows airing on the major networks, because we know that they have the biggest numbers of fans, fans who search the internet for games with their favorite characters, games which you can now play here, on www.cute-games.com, the best website for online gaming, no matter what your age is, or where you come from, we have all the games you want to play! 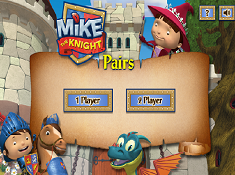 Now, if you have already seen the show on Nick Jr, or other channels, if you are from outside of the United States, then we are sure that you won’t wait long to start playing these Mike the Knight Games that we have added on our website. On the other hand, some of you might not have seen the show before, so you might be asking yourself: ’Why would I want to play these Mike the Knight Games?’ Well, don’t worry, because we are going to answer this question in this description, which’s purpose is to inform you on the show’s plot, on the characters in it, and of course, about the Mike the Knight Games that you can find on this page, because that is the main focus of it, and all of you are here because you want to play games, and fun games at that. Well, we can assure you that these games are fun, like it is the case with all the games on our website, the place where you will always find what you are looking for. Well, shall we start then? We have a lot to tell you, and a limited space, so we should try to make the most of it! The main character of the show is Mike, who, is a knight, like you could tell straight away from the title of the show. He is a prince, but his father, the King, is off in other lands, in search of adventure. Mike wants to be a knight just like his father, as he is just a knight in-training at this moment. Every day, he tries to go on all sorts of fun adventures, and be the bravest of them all, and in his amazing quests, he is not alone, because everything is better when you have other’s by your side, right? He has two dragon friends, Sparkie and Squirt, a sister who is a witch in-training, called Evie, and last but not least, his trusted horse, Galahad. In each episode, on his different and interesting adventures, he learns from his mistakes, as we all do mistakes, and so by the end of it, he learns how to be a knight and do it right. Well, doesn’t that sound very interesting? Well, if you thought that the premise of the show was interesting and fun, wait until you find out about the really awesome Mike the Knight Games that you will be playing next on our website, where we have done our best in order to gather them all up, in order to make sure we can provide you with the best content possible. You will have games in which your main focus will be to concentrate, games where you have to build castles, or where you will be building shields for the knights, games where you match the pairs, or even games where his sister Evie is the main character, and you will do different potions. You can then find bow and arrow games, horse riding games, viking games, or more simple games like hidden numbers games, differences games, or puzzle games. Whichever game from the Mike the Knight Games category you select to play first, we are sure that you will have a blast playing it, and that you won’t get bored for even one second! Trust us, we have already played them all before adding them, so we know what we are talking about! If all that we have written in this description hasn’t convinced you to give a chance to these great games, then we don’t know what would. We highly recommend each and every one of them, and invite you right now to start playing them! 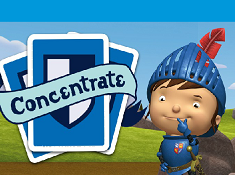 When you are done playing all the Mike the Knight Games, you can visit the Nick Jr Games category for similar games with characters from the same network, or check out all the many other categories on our website, each one of them filled with really fun and great games for all to play, in which we are sure that you will do just great, and always have a blast! Good luck to you!